In English, as well as in other languages, modal verbs are those that accompany another verb and modify their meaning. This is a restricted group of invariable verbs which are can/could, may/might, will, shall/should, and must. 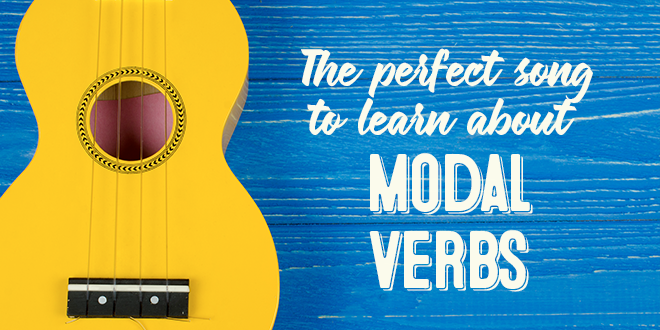 @abaenglish presents some songs in English to help you learn modal verbs. They do not use an auxiliary in the interrogative form. In the interrogative form, the verb goes before the subject. They are followed by the main verb without the to. They do not allow a direct object. That is to say, they are intransitive. To learn them in a fun and effective way, we thought about offering you some songs that we have selected for you. For the negative form, two structures are permitted: can’t (contracted form) and cannot (extended form). Can you tell how the verb can is being used in this song by Joan Baez? The verb could has the same construction as can. It expresses a probability that something will happen in the future. It can also indicate the past of can. May is used to express a doubt or to ask permission to complete an action. In this last case, it assumes the same meaning as the verb can, but has more of a formal tone. I still love you, I still love you. could never go on without you. What Song Do You Recommend? Now it’s your turn! Search for other English songs that have modal verbs. If you are looking for an easy way to learn English, you could try an online course. ABA English offers 144 video classes, short films, and native teachers that will help you learn with a natural and intuitive method! Yes, I’m going to download the app!